Even if I don’t know you, I’m the sort of person that can cry at your wedding if I hear your dad speak or if I watch a sappy love story video of you. I just love seeing families come together and celebrate a union. I’m just soft sad like that. I love weddings! But one thing about going to a lot of weddings is that you’re bound to bump into the same people. You know what that means… you can’t possibly wear the same outfit every single time! Now with Instagram, your pictures become a public wardrobe diary of what-I-wore-last-Tuesday and there’s no escape! I can’t stand seeing people in jeans at weddings. Weddings are a beautiful formal ceremony that need to be treated with a bit of respect, so we should always make an effort to not dress like we’re going for a mamak breakfast. I used to make custom-made dresses for all the weddings, but ever since lately, Dean and I have been invited to even more weddings. Guess when we come to late 20s, more and more friends are getting nagged by their parents tying the knot in happy matrimony. So with 4 weddings a weekend, there is no way I can allow myself to make 4 custom-made dresses! Daniel needs to go to college! Haha. I have a lot of baju kurungs and other traditional outfit, but sadly, after giving birth, a lot of them are ummm… tight in certain areas. I’m convinced that the dry cleaners shrunk all of them, and that’s the story we’re going with here, ok? So what I like to do now is wear separates which is more economical and also more fun because you get to mix and match with endless possibilities to different events. We’re talking dressy beaded jackets, flowy cardigans, beautiful maxi skirts, dressier palazzo pants. 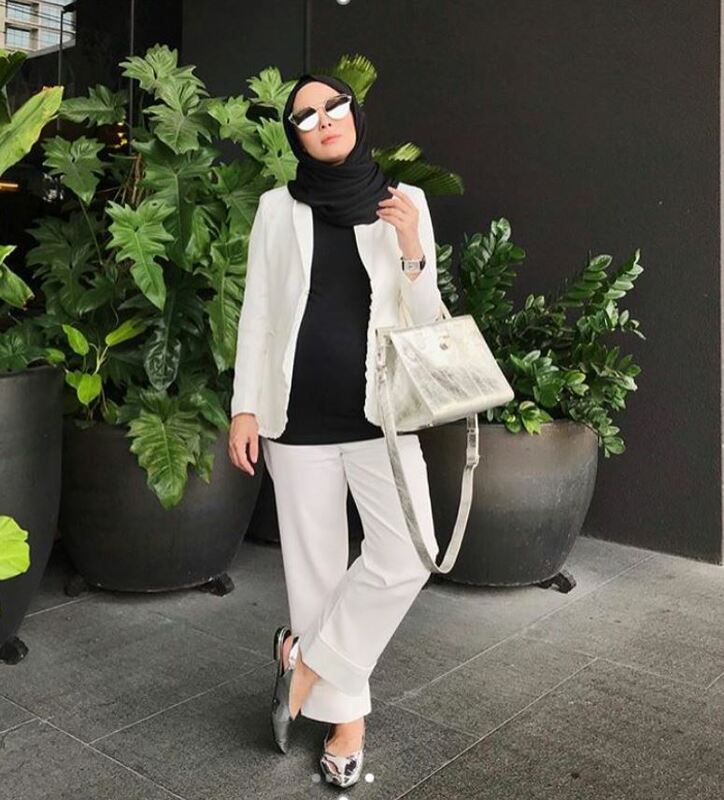 My favourite is still the traditional baju kurung to retain the traditional feel, but sometimes I like to be a bit dressy casual with separates. 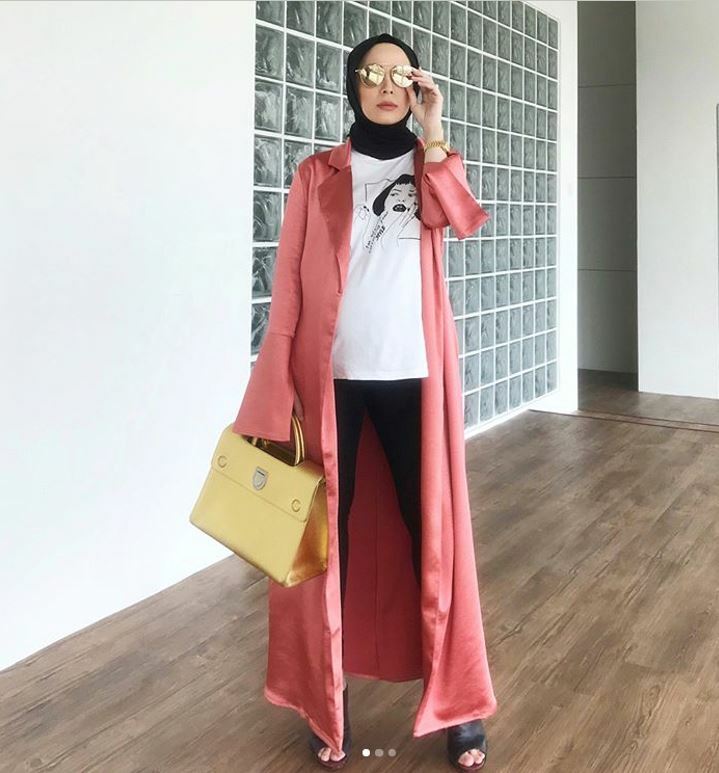 FV has a lot of maxi skirts and flowy cardigans in all colours, and I think a lot of people shop with us for those too since those seem to be best-sellers. Wedding invitations for you too, huh? Haha. A feminine skirt I wore recently to a friend’s wedding. I love how it has the flowy flap in front, but there’s no slit so we don’t have to get mad at the wind for giving people sneak peeks of our unwaxed legs. Bring it on, wind. Grey skirt from Rico Rinaldi at FashionValet, available in S and M for now. Flowy cardigan was a birthday gift from my wonderful Mimpikita chicas (Thanks, guys!). I love d cardigan…but i dont see it on FV…. I totally agree on the jeans part! I’ve also seen some men dressed in round-neck t-shirts. Regardless of how simple or grand the wedding is, we should put some effort in dressing properly.